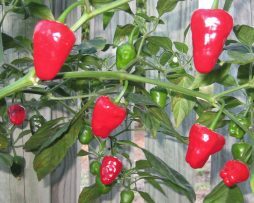 The “Carolina Reaper” has been rated as the world’s hottest chilli pepper by Guinness World Records since August 7, 2013. The famous Carolina Reaper averages at 1,569,300 on the Scoville Scale with peak levels of over 2,200,000 Scoville Heat Units (SHU). The original crossbreed was between a Bhut Jolokia (Ghost Pepper), a former world record holder, and a Red Habanero chilli pepper. This is it. 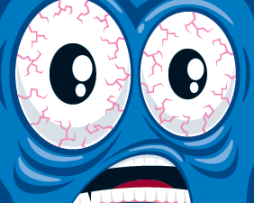 The big one. The BIG DADDY of the chilli pepper family. 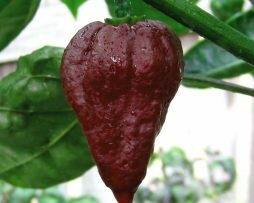 The Carolina Reaper blows away the Moruga Scorpion’s measly 2 million SHU by over 200,000 SHU’s. It’s one evil-looking chilli pepper having the texture and scorpion tail of it’s Trinidadian Relatives. There is a bit of confusion around the Reaper’s origins but the world record is held by ‘Smokin Ed’s Carolina Reaper’ which has been patented by Ed Currie, owner of PuckerButt Pepper Co. You’d be wise to fear the Reaper. Some like it hot but can you take the heat of these 5 varieties especially picked for awesome flavour but also their killer heat. 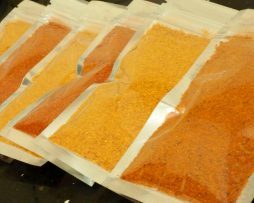 Nothing under 800,000 SHU Get your hands on Butch T, Moruga, BOC, Monster Naga and the infamous Carolina Reaper. 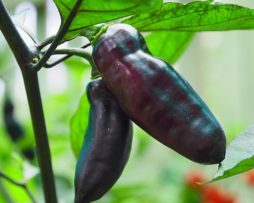 The Scarlett chilli is a cross between a Purple Tiger and a Jalapeno that was originally bred by Graeme Chaplin in Western Australia. We have grown it out many times and it appears to be mostly stable. It’s truely maginificent to behold as it grows and the pods start their transformations. The green and white variegated foliage has splashes of Scarlett throughout and the pods start dark purple and transition through a range of stripey colours of violet, yellow, orange and red. This version has upward growing pods 3-4cm x 2cms in size. The Scarlett Chilli plant grows short and compact and is super easy growing. The taste is sweet and reminiscent of the Jalapeno flavour. The Pimenta De Neyde is a natural cross C. Chinense x C. Annum. 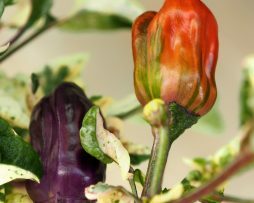 It’s a somewhat rare chilli from Brazil, named after a woman, Neyde Hidalgo who discovered it. The flavour is quite complex, being a bit apple, salty and nutty all at once. 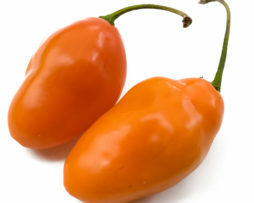 The heat is a bit below Habanero and hits you in the back of the throat right away. It will be one of your favorites just for its looks alone! 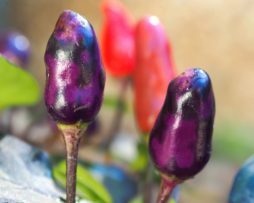 A great ornamental chilli. Our very first Rocoto variety, the Orange Torpedo is one we have obtained from the PATCH ON THE BELLARINE. We love the colour, we love the shape and most importantly we love the flavour. 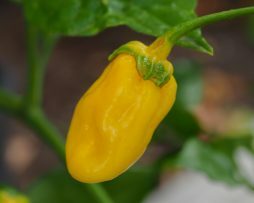 A chilli much prized in its native Mexico City for use primarily in salsas, it has an amazing sweet apple-like flavour. The Pubescens species is quite different from other chilli species. 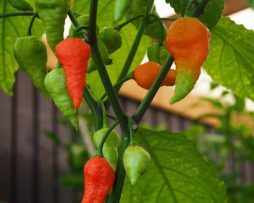 It has hairy foliage and contains more Dihydrocapsaicin than capsaicin resulting in a different deeper and longer burn. Go on give it a go. Hinkelhatz is a great little chilli. Its been around, thanks to the Dutch, since about 1880. ‘Hinkelhatz’ literally means ‘Chicken heart’, which describes the shape. They are hot and tasty. Very good to slice up on a salad for a bit of a kick! They are traditionally used for Chilli vinegar, pickling and oil where they really shine through. This Chilli is also in the ‘Slow Food Arc of Taste’, So you know it has to be good right?